A few months ago I wrote about finding meaning in the daily rituals of life. Bread baking is probably my favorite of all my life's rituals. I don't have to remind myself to love it - it's just visceral. I'm smitten with the whole process - a flour dusted kitchen, the hum of the Bosch, the chemistry of leavening yeast and gluten forming, the intoxicating aroma of baked grains and that first warm bite - the goodness of which just cannot be described. There's also goodness in the satisfaction of homemade, in a process that you measured and mixed and tended to completion. Today I want to share my favorite bread poem (again - it just can't be read to excess) and my favorite bread recipe. When she said, "Well, I wish I had time To bake bread!" Mix all ingredients on low for about a minute. Mix on low speed for about 30 seconds. Cover mixture and let stand for 15 min (this allows the bran to absorb the water, if you're in a hurry you can skip this step, but the bread won't turn out quite as nicely). After 15 mins, remove covering and turn mixer on low speed. Begin adding flour 1/2 c. at a time. When the dough begins to pull away from the sides of the mixer (around the 10th or 11th cup, which includes the 5 you added at the very beginning) turn off mixer and do the "floured finger test." if dough still sticks to your floured finger, continue adding flour 1/4 c. at a time until the test comes out clean. Once you've determined that you've added enough flour, turn your mixer on to medium speed and let knead for 6 minutes. Turn off mixer and the dough should "move." Grease your hands with cooking spray or oil as dough will be sticky. Form loaves and place into greased bread pans. Bake at 350 for 35-40 minutes -- you'll have to tweak the baking time for your oven/altitude. I only bake mine for 26-28 minutes when I make 4 loaves. **If any of this is unclear, leave me a question in the comment thread and I'll respond! I've never used dough enhancer. What does it do for the bread? Is it mainly just a helper with whole wheat bread? Minor dilemma: my mom's kitchenaid broke and I don't have one!?! Our bread baking bliss has come to a complete halt! Not fun. I even attempted making bread with a hand mixer b/c I got so desperate...it was more like concrete than anything. So for now we eat lame old store bought bread. boo hoo. better than the bread making is the smell of the wheat as it grinds! that's my favorite part. we have stone grinder and it fills the house with whole wheaty goodness. love it! Jesslyn, dough enhancer will improve the texture and crumb of the bread. When I googled it, I read that it also enhances the natural flavor, and increases dough strength and shelf life. Looks yummy Em! I have yet to find the perfect whole wheat bread recipe, so I'm excited to try this one out! Thank you for sharing that poem with us! I love it. Joan - you might want to look into the Tassajara Bread Book. It gives clear instructions for good bread without a mixer. They should have it at your local library if you just want to try it out. Thanks for the bread recipe. 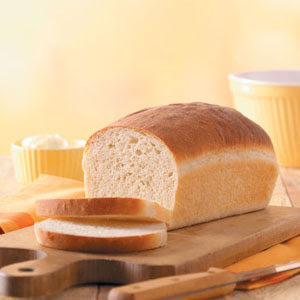 I am always making bread, but haven't found the perfect 100% whole wheat recipe yet. I am excited to try this one. Em, I have this poem taped inside my baking cabinet. Love that you love it too. So where do you buy your enhancer and gluten? Is there a special place that sells those things in bulk for cheaper? Please advise. Also, when I'm adding the flour 1/2 cup at a time, this is in addition to the already added 5 cups right? So does that mean that the recipe takes over 10 cups flour? I too am curious about the total amount of flour. Is it 5 cups or 10 cups? And also do the T's stand for teaspoons or tablespoons?